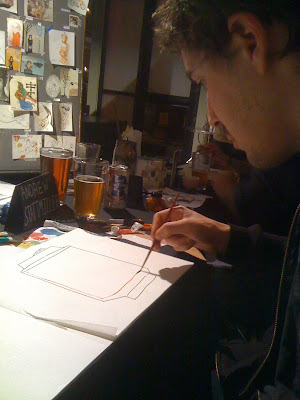 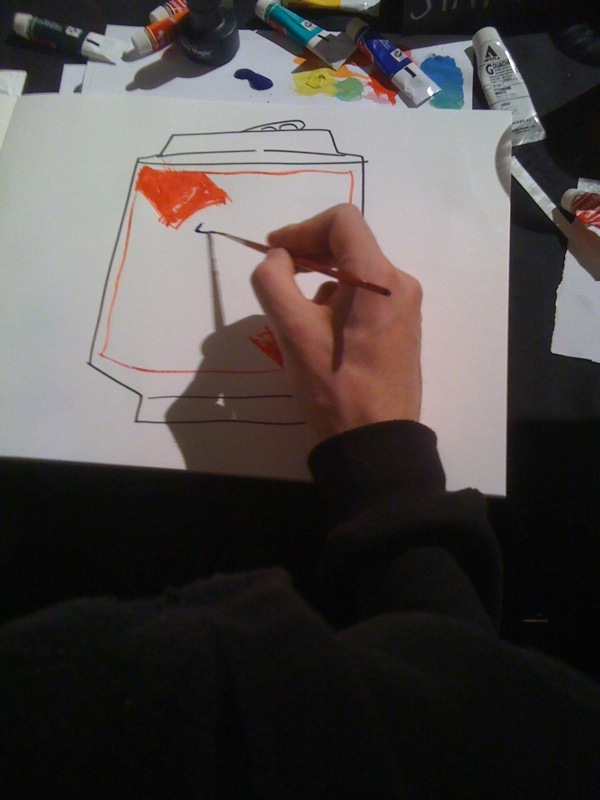 Last night was Sketch Tuesday at 111 Minna bar/gallery. 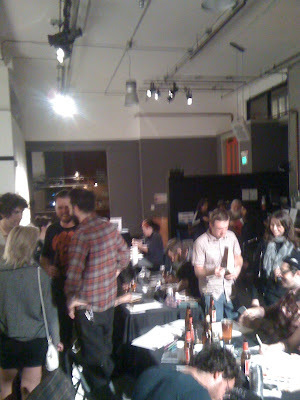 The concept is genius, get a bunch of artists together at the bar, draw, drink, and even sell the drawings at whatever price and keep ALL the profit. 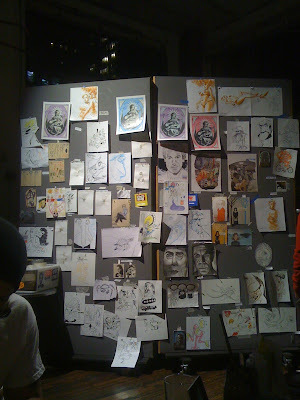 It's a great place to meet like minded artists and also buy cheap art. It goes on every month too! 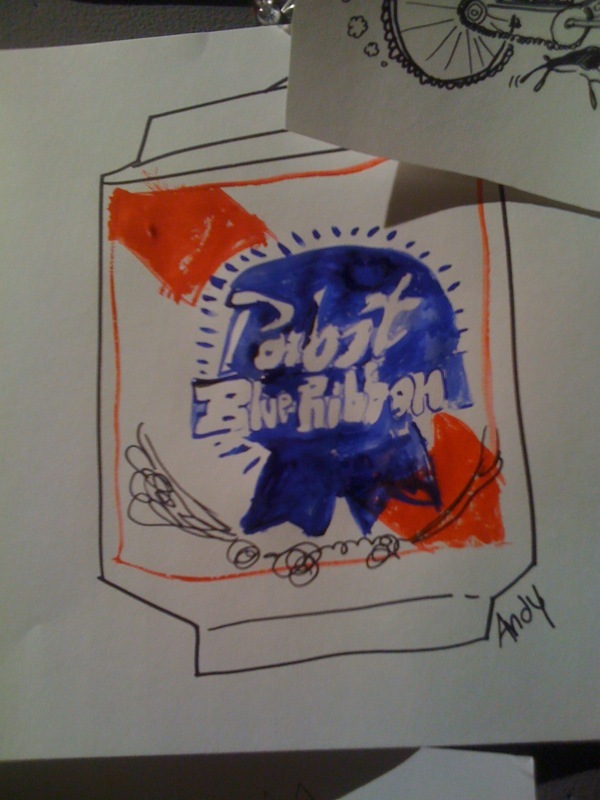 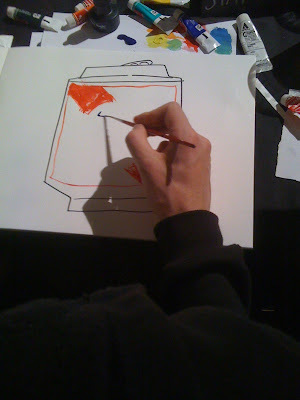 That is my version of a pbr can. I traded it for a pbr plus 5 dollars.